Holy basil is a popular Ayurvedic remedy used to treat a variety of conditions including asthma, diabetes and cholesterol. It has anti-inflammatory and anti-microbial properties, and is helpful in treating arthritis, fevers and many other conditions. Hindus worship and revere the plant for its religious significance as well. Eugenol is the primary oil in holy basil. It is sometimes called clove oil because it is also the active ingredient in cloves. Eugenol is known for its antiseptic and analgesic properties and is often used by dentists to make temporary fillings. Eugenol overdose can occur if too much is ingested. The recommended dose is two to five drops, three times a day. Symptoms of overdose include shallow breathing, blood in the urine or sputum, mouth and throat burns, nausea, racing heartbeat, seizures, dizziness and coma. You should contact a doctor or poison control center immediately if any of these symptoms occur. Holy basil thins the blood so it should not be taken with anti-clotting medications without the approval of your physician. If taken together, you may have problems getting cuts to stop bleeding. Because holy basil can lower blood glucose, it should be used carefully if you are taking any diabetic medications. Symptoms of hypoglycemia include shaking, dizziness, irritability or fainting. Monitor these symptoms frequently to catch lowering blood sugar before they become a serious health issue. Holy basil has been shown to decrease fertility in animals and more studies need to be done to determine the effect on humans. Women who are pregnant, trying to become pregnant or breastfeeding, should not use holy basil. 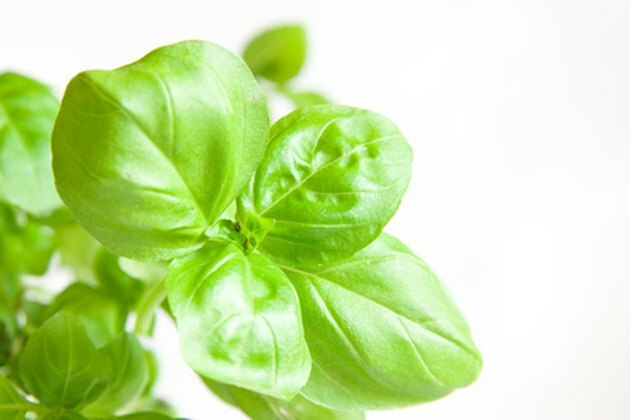 Because holy basil is an anti-inflammatory, care should be taken using it with other NSAIDs. In particular, it should not be taken with acetaminophen products.